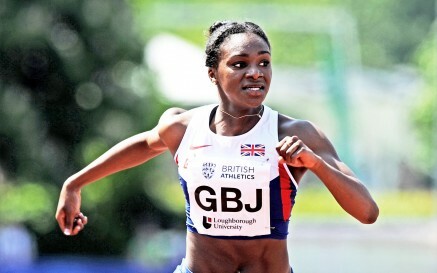 22nd June 2014 – European Junior 200m Champion Dina Asher-Smith (GBR) set herself up for a shot at the world title in Eugene next month with a dominant weekend of sprinting at the British U20 Championships and World Junior Trials. In the 200m final on Sunday Asher-Smith took the title and clocked a new pb of 22.74 seconds, a time which not only makes her the fastest junior in the world this year but also moves her to number 2 on the British all time junior list behind only Kathy Cook. This followed a tough 3 rounds in the 100m on Saturday where she clocked 11.17 (w) in the heats, 11.21 in the semi-finals and then won the final in 11.11 (w). Former World Champion Phillips Idowu (GBR) returned to international action at the European Team Championships in Germany taking fourth place in the triple-jump. In Bilbao Michael Rimmer took fourth place over 800m.